Hey guys. I'm doing a bit of a case study at the moment that I thought I would share here. I’ll be sharing a real life case study where you can follow along as I build up a brand new niche site from from scratch, get searh engine traffic to it and hopefully make it profitable. And I’ll be each and every step of the process right here in this thread. A lot of people aren't willing to reveal their niches and sites as it can result in more competition… but screw it. I'll be sharing everything in this case study – the niche, domain, revenue and EVERYTHING! Anyway enough talking and lets just jump straight in! 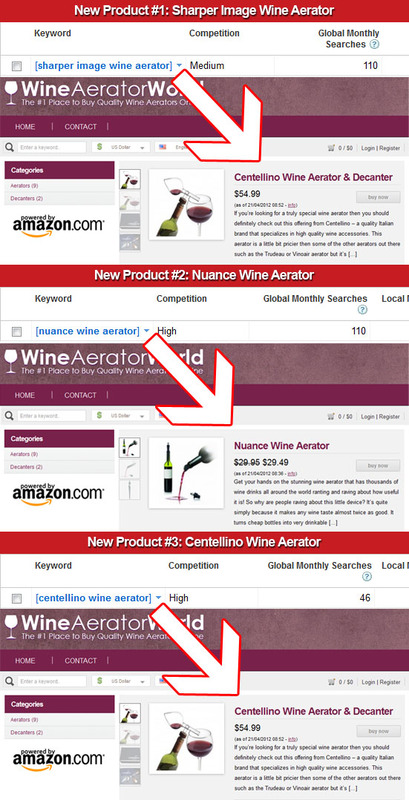 To find a niche I spent a bit of time browsing through the thousands of items over at Amazon, this is great way to find random products that get a lot of searches with little competition. Looks pretty good with less than a million results - I think I’ve found my niche! If you haven’t already got yourself web hosting then I recommend checking out HostGator, it cost less than $10 a month and they have a feature called 'Fantastico' that allows you to install WordPress with just a few clicks. 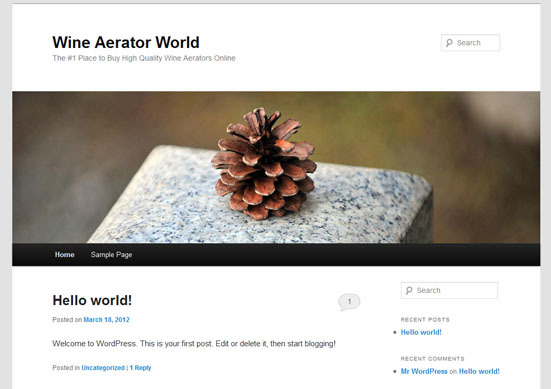 Next it’s time to spruce up the site with a good looking WordPress theme. This plugin is free, easy to use and very effective! 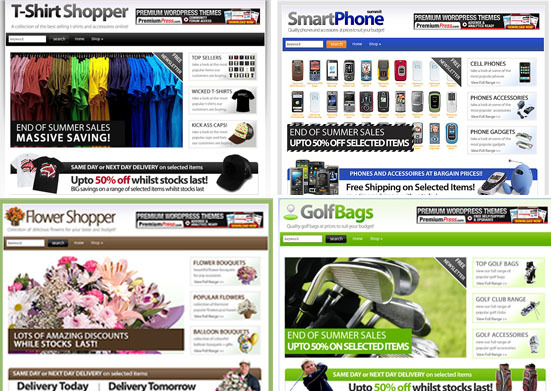 Finally I've just build a few links to the site to get it indexed. 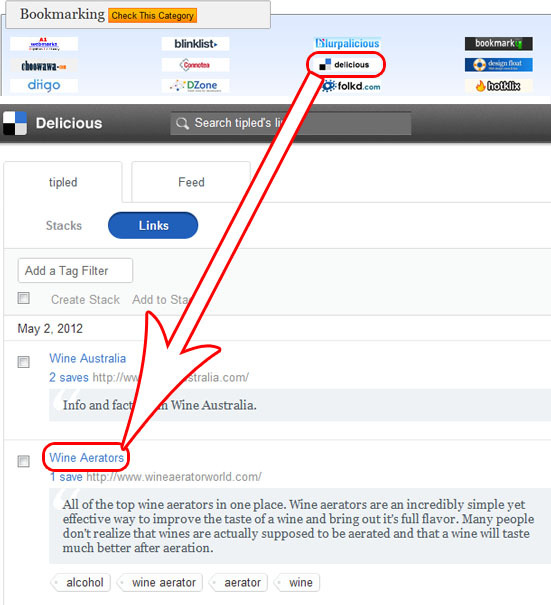 Two blog comments, two forum signature links and two social bookmarks... easy as! 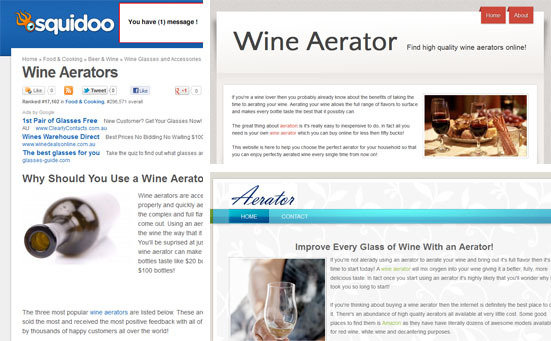 To see the site in action head over to WineAeratorWorld.com. The second part of this case study will be on its way soon so keep an eye on this thread! Impressive! I like the way how you lay out the presentation. It is simple newbie friendly and get to the point. All the tools used could be found one time or another in our forum. Please keep us updated with the results. Hope a lot of newbies read this post. Good luck. Much Success! Jay, you are my inspiration. could you maybe help out my journal with a couple suggestions? i will be following yours for the entirety of this study. great luck mate! 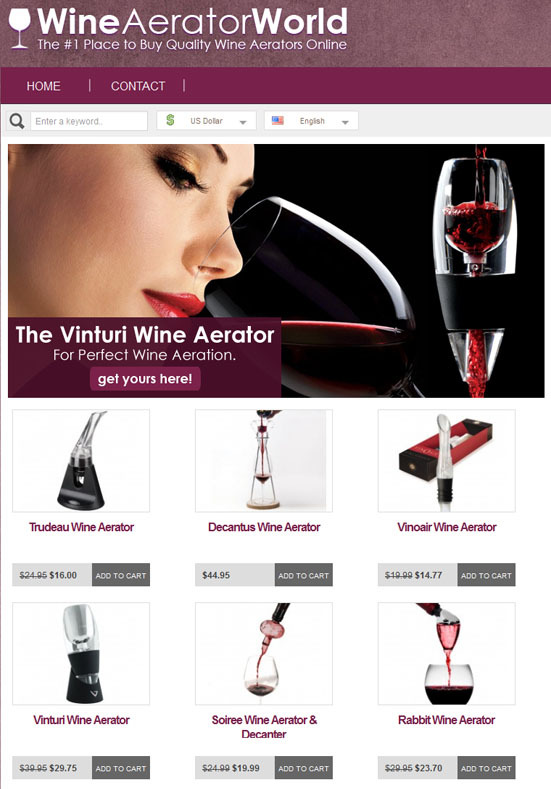 After a bit of searching I stumble upon the â€˜Wine Aeratorâ€™. 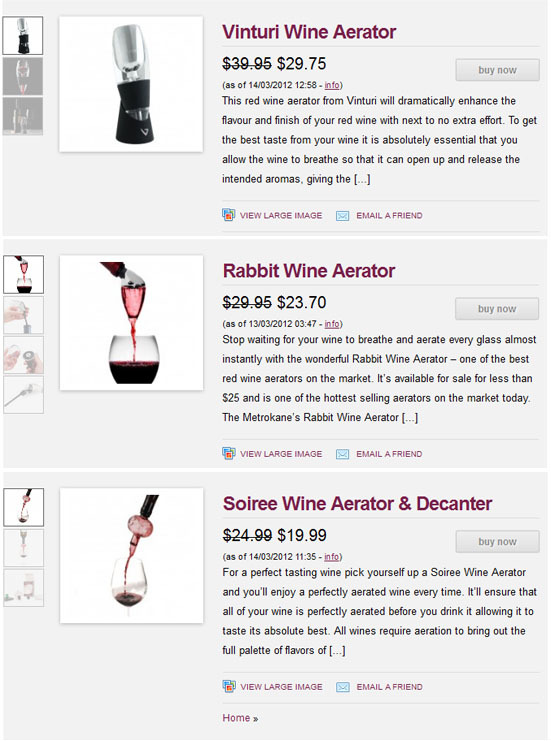 You pour your wine through them to aerate and bring out the full flavor of a wine. twentytwo...you are mistaken..I also looked for wine aerator today..and it showed me that the competition is reduced, not high. It was exact match. The "high" competition that you are seeing refers to the Adwords competition (PPC) not the organic search competition (SEO). 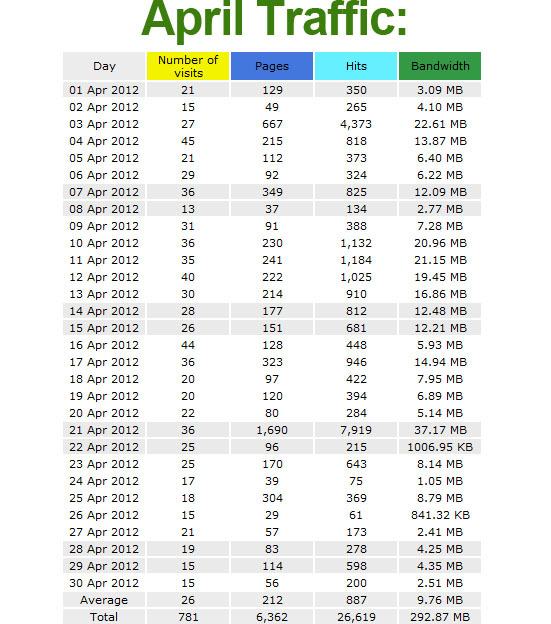 It's not a whole lot of traffic but I really haven't done much to the site yet and am only just getting started. To succeed with SEO you've gotta have patience! In total I've now got six pages on the site. Next I build a few more backlinks consisting of a couple more forum links, a couple more blog comments. And that's it for now. I'll just give Google a little time to find my new pages and backlinks. You might remember that in my first post in this case study I mentioned that people rarely reveal their niches to people... and it's for a good reason. People will copy you. 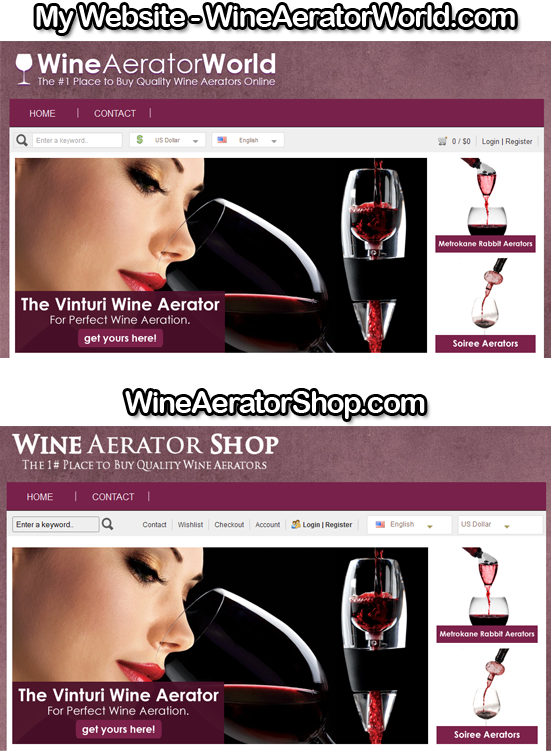 Whilst building some more links to my website I stumbled across someone who was building links for a website called WineAeratorShop.com. It's pretty much an exact rip off of my site. They've used the same images, theme, niche and products. They have slightly changed around some of the text but not enough to really make it "unique content". Now I really don't care if people copy me. In fact, the main reason I'm doing this case study is to help others out and teach them a few things rather than make money. But here's the thing: It's not in your interest to just copy me! (In fact, it's a terrible idea). You'll be far better off taking the time to find your own little niche and creating your own UNIQUE content rather then copying a publicly revealed niche/website... why would you want all that extra competition? There are literally endless amounts of untapped, obscure products that are just waiting to promoted that aren't available for every man and his dog to see on a public forum like this one! Anyway, feel free to ask any questions you like and keep an eye out for part three of this case study! Wow, you just gave me loads of hope. Keep doing your thing, and I will follow! I need to say... I love Jay Wessman ♥ thanks for this, it's like a step by step guide, oh and thanks!! I actually making a good FB fan page with your tips! waiting for next update. Awesome bro good luck! Im going to be following your site! Awesome idea! Thanks for sharing, mate! Thanks for sharing this buddy. Waiting on part three thx so far for the great information and pictures to go with! I see that your competition has put up his domain for sale. Did some analyzes on your site with seospy and can`t find any backlinks yet,which means that the backlinks is not on your money site but stands apart from your money site, is this normal practice or do I understand it incorrectly and will you later add these links to your money site? And if you do it in this manner what is your reasoning for doing it this way? HiI see that your competition has put up his domain for sale. Did some analyzes on your site with seospy and can`t find any backlinks yet,which means that the backlinks is not on your money site but stands apart from your money site, is this normal practice or do I understand it incorrectly and will you later add these links to your money site? And if you do it in this manner what is your reasoning for doing it this way? More updates coming soon...Be sure to keep an eye on this thread - I'll keep updating it as things progress!